Quang Ninh is not only a tourist destination with a lot of picturesque landscapes and a region with distinctive cultural and historical values but also a miniature Vietnam which has all types of terrain like delta, mountain and seaside and a source of characteristic biodiversity. 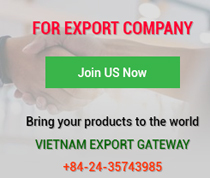 Especially when the Law on Special Economic Zone is adopted by the law-making National Assembly May, Van Don Special Economic Zone in Quang Ninh province will truly become an international economic zone soon and a place of interest of domestic and international investors. According to its legislative programme in 2018, the National Assembly will ratify the Law on Special Administrative - Economy Unit at its fifth periodical gathering scheduled in May 2018 and then consider adopting a resolution on establishment of Van Don, Bac Van Phong and Phu Quoc special zones. Thus, it is only a very short time left for Van Don and other special economic zones to enter a new development trajectory. To prepare for the future Van Don Special Economic Zone, Quang Ninh province is actively investing and completing traffic infrastructure, calling for investment funds from large domestic and international corporations to develop service, tourism and high-tech projects. To date, the province has managed to attract over VND55.3 trillion or US$2.5 billion for the development of the new special economic zone. At present, major infrastructure projects are being completed to provide a springboard for Van Don Economic Zone to have breakthrough development. 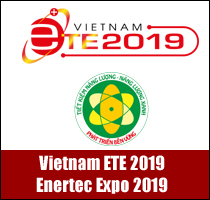 Typical projects include VND13,600 billion Ha Long - Hai Phong Highway, a VND13,988 billion investment for construction of Ha Long - Van Don Expressway and the upgrade of Ha Long - Mong Duong section on National Highway 18A, the VND16,000 billion Van Don - Mong Cai Expressway, the nearly VND7,500 billion Van Don International Airport and a VND46,500 billion complex of high-grade resorts with casino. As scheduled till the first quarter of 2018, the transport sector of Quang Ninh province will complete an 85 km expressway from Hai Phong (the end point of Ha Noi - Hai Phong Expressway) to Van Don Airport. Thus, instead of driving four and a half hours from Ha Noi to Ha Long and Van Don, it now takes just one and a half hour to get there on Ha Noi - Hai Phong - Van Don Freeway. In addition, Van Don International Airport, the sky door for Quang Ninh to get to the world from air, will be officially put into operation in May and will create an underlying foundation for the entire Van Don Special Economic Zone particularly and for Quang Ninh province as a whole. With a series of large infrastructure projects ready for completion in 2018, the real estate market in Van Don is sharply rising and becoming an attractive destination for domestic and foreign investors. 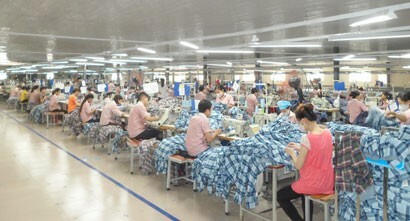 With its potential advantages, Van Don has lured a strong large wave of domestic and foreign investment. HDmon Holding is carrying an VND1,800 billion investment project which covers a total area of 300 ha in Ha Long City. 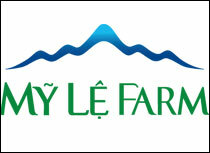 CEO Group is applying for a scale-up of SonaSea Dragon Bay Tourism Complex in Ha Long commune to 300 ha from 94 ha. Besides, FLC Group is finalising investment procedures for a US$2 billion entertainment complex project on Ngoc Vung Island. In addition, a number of other gigantic projects are underway, such as a high-end resort and casino complex invested by Sungroup on Cai Bau Island, a 5-star Furama Van Hai Resort on Quan Lan Island that costs nearly VND1,200 billion. 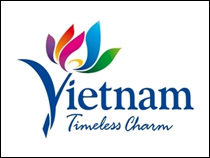 And especially, the Heritage Itinerary project is a unique tourism and service product invested in Ha Long commune, Van Don district. This nine-section system will be the largest mountainous entertainment and resort centre in Southeast Asia. Remarkably, Quang Ninh province recently agreed in principle allowing investors to study on three super projects in Van Don, including Mong Cai - Van Don high-speed rail project; Hon Net - Con Ong urban, industrial area and deep-water port; Northern Cai Bau Island urban complex in Van Don Economic Zone. Three projects are estimated to cost US$10 - 15 billion. Investors are committed to developing projects in accordance with the master plan and emphasising unique development and commercial values of the special economic zone. Specifically, the Northern Cai Bau Island urban complex will be a new residential area combined with trade and services functions and connected to Van Don Airport, railway stations and Heritage Itinerary. Covering a total area of 5,000 ha, the project will be a northern expanded urban area connected with railroad stations, other coastal urban facilities and deep-water port on the southern side, industrial parks and warehouses. It will have railway and stations linking to Mong Cai. 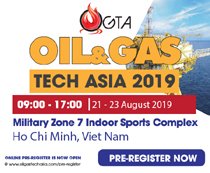 Covering 500 ha, the US$1.2-billion Hon Net - Con Ong industrial and deep-water port complex will build a phase-based port system (with the first phase of building a 350-400-metre general wharf capable of serving ships and barges of 150,000 tonnes and a terminal for handling containerised cargo, general cargo and bulk cargo. In total, 12 wharfs with individual capacity of 800,000 TEUs will be built. When the demand reaches 70 per cent of the designed capacity of a berth, the next will be constructed. The 100-km Mong Cai-Van Don high-speed rail project will connect Mong Cai Border Gate to Van Don with the central station located in the Northern Cai Bau Island urban complex and link to the national railway network to carry incoming and outgoing freights and people. The project aims to create a strong connectivity of transport infrastructure and urban infrastructure, not only in Van Don but also, with a wider vision, to other provinces and across the nation. In the latest development, the Prime Minister assigned Quang Ninh province to actively implement the socioeconomic development master plan and the construction master plan of Van Don Special Economic Zone. The province selected world-leading consulting companies for this task and the Standing Board of the Provincial Party Committee will listen to the report on this issue in May. 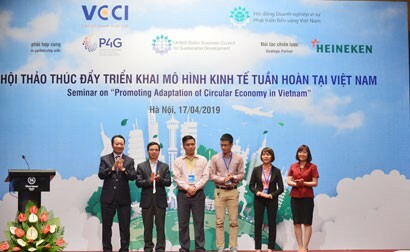 According to leaders of Quang Ninh province, Van Don will be a premise and a big contributor to sustainable economic growth and development of Quang Ninh and a key growth engine of the northern key economic region. 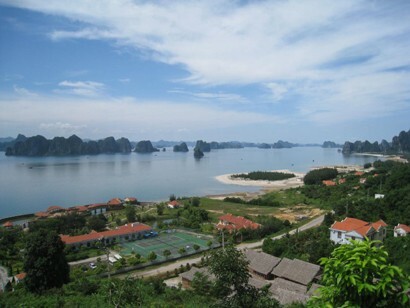 What Makes Quang Ninh Attractive Destination to Invest?